The Indian Institute of Engineering Science and Technology, Shibpur, established as Calcutta Civil Engineering College, way back in 1856, with the idea of introducing engineering education in the country, has long and glorious past. In the year 1920, the Institute was renamed as Bengal Engineering College, Shibpur. 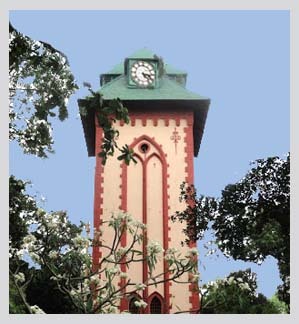 Till 1992, it was a constituent college of the Calcutta University and has been offering PG Courses in Engineering since 1954. In recognition of its service to the nation for all these years, the college was elevated to the status of a Deemed University in 1993 and the then Honourable President of India, Dr. Sankar Dayal Sharma formally inaugurated the University on March 13, 1993. From October 2004, the Institute was further elevated to the status of a State University and was renamed as Bengal Engineering and Science University, Shibpur. On July 13, 2005. Dr. A. P. J. Abdul Kalam, Hon'ble President of India, formally inaugurated the University. The University offers all its regular programmes through three faculties, namely, Engineering and Technology, Basic and Applied Science and Management. Bengal Engineering and Science University, Shibpur (BESU, Shibpur), has been incorporated under the National Institute of Technology, Science Education and Research (Amendment) Act, 2014 (9 of 2014 and on such incorporation BESU, Shibpur is to be called the Indian Institute of Engineering Science and Technology, Shibpur as per notification by the Ministry of Law & Justice, Government of India in the Gazette of India vide No. 10, dated 5th March, 2014. Indian Institute of Engineering Science and Technology (Formerly Bengal Engineering and Science University), Shibpur is now a MHRD funded Institution of National Importance.